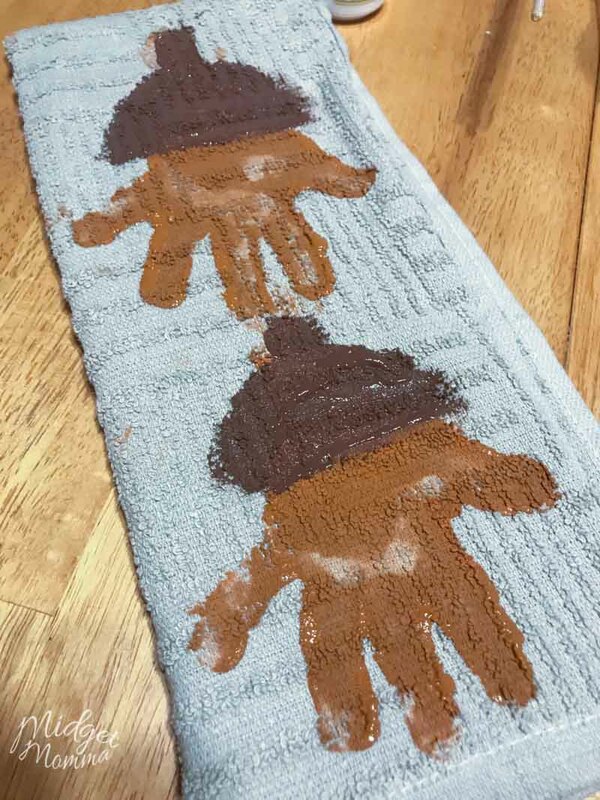 If you are looking for a fun fall craft that all the kids will love making and you are going to love showing, these acorn handprint towel craft are perfect! We love handprint crafts, I love them because they are perfect for decorating my house and make great keepsakes and gifts. The kids love making handprint crafts because they are so much fun! 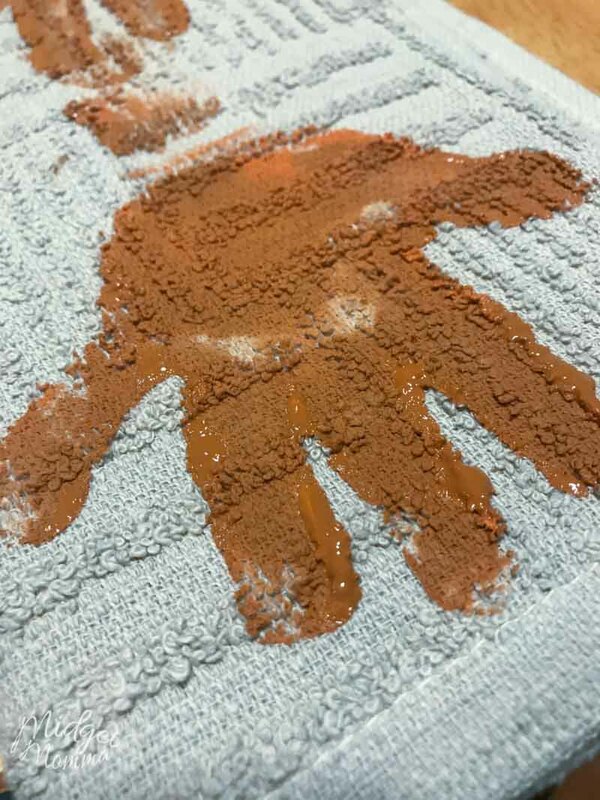 This Acorn Handprint Towel is our newest creation! 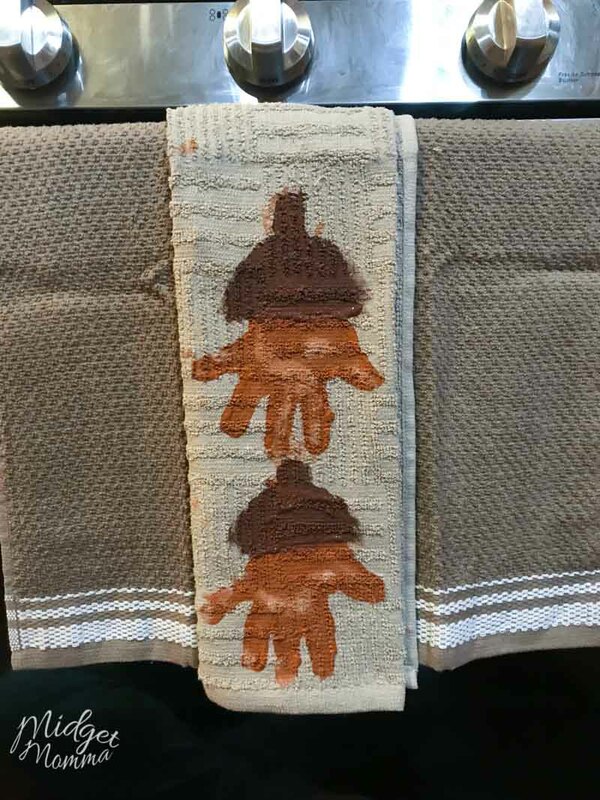 These acorn hand print towels look so cute hanging on the stove, they would look awesome if you did the Handprint Leaf Towel and have them both hanging on the stove at the same time! White or tan teatowel – we went with tan as I liked the look of the brown paints on it. 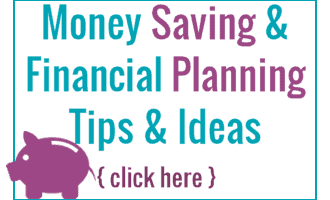 Take your paper plate or paint tray and squirt the darker brown paint on it. Fold you towel how you want it to be when you hang it on the stove bar, and then turn it upside down and place it where you are going to have your kid crafting. You want the hand prints to be going in the opposite direction of how you want it to hang because it is much easier then turning a kids hand in different directions. 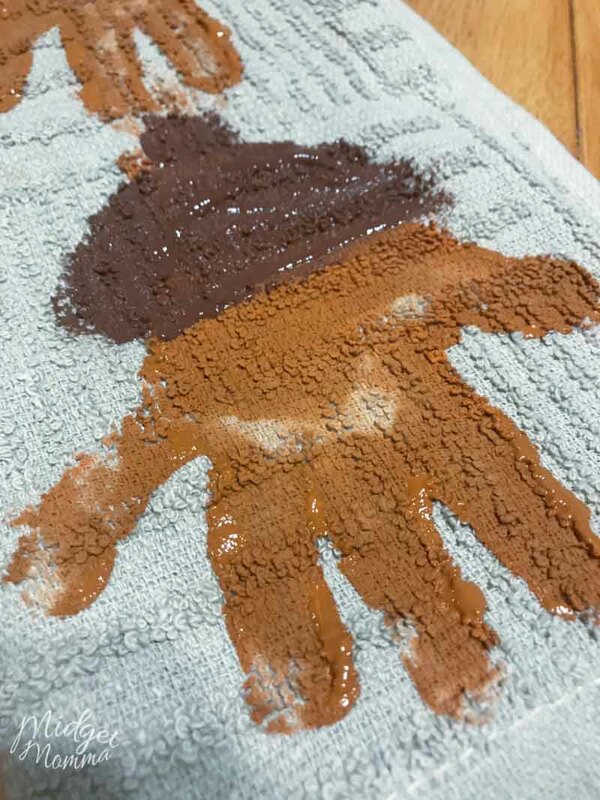 Next paint your child’s hand with the light brown paint. You can use the tray and have them dip their hands in the paint, or you can use the foam paint brush to paint their hand. Place child’s hand on the towel, repeat for however many handprint acorns you want on the towel. 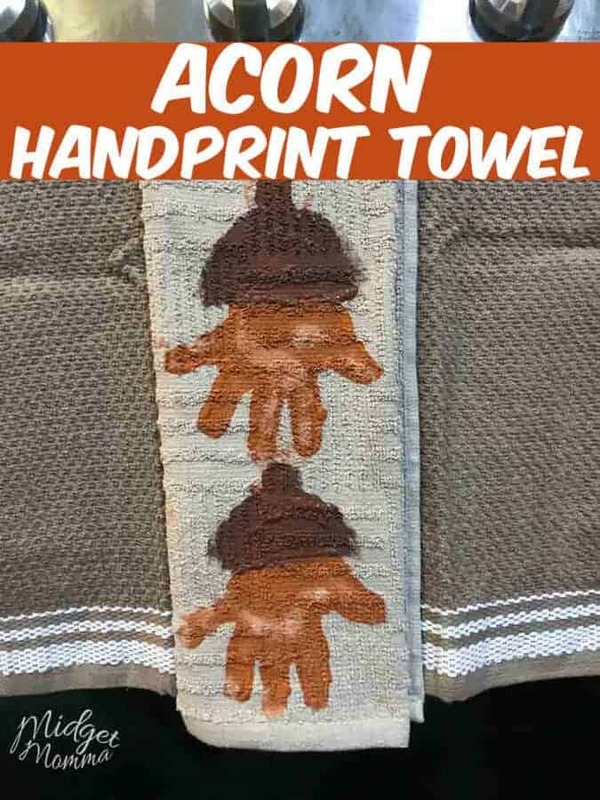 Depending on your kids hand size will depend on how many acorns you can fit on the towel. Let the paint dry a little bit and then using your thin paint brush, make the top part of the acorn. If you want to darken the paint up a bit you can, by going over the handprint with more paint. It is all personal preference on how you want them to look.